Ted Burnham has written 14 articles so far, you can find them below. 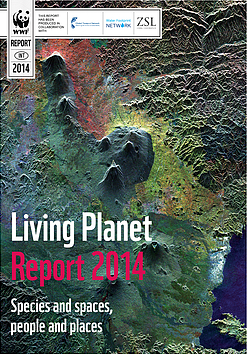 Living Planet Report (starts at 5:50): The environmental organization World Wildlife Fund just released its science-based biennial Living Planet Report. It doesn’t paint a rosy picture overall; WWF shows that, for instance, wildlife populations across the globe are roughly half the size they were 40 years ago. And although rich countries show a 10 percent increase in biodiversity, lower-income countries are suffering a drop of nearly 60 percent. The report also ranks the ecological footprints of 152 nations, and warns that the world is living beyond its means. But there are bright spots in the report, too. Even in the absence of national legislation and international treaties, some cities in the U.S., including Boulder, and around the world are making progress toward sustainability and greenhouse gas reductions. 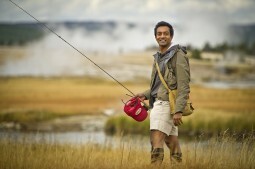 Co-host Susan Moran interviews Keya Chatterjee, director of WWF’s renewable energy and footprint outreach program. Finding Exoplanet Water (starts at 18:15): For the first time, scientists have detected water vapor on a cold exoplanet the size of Neptune. Previously, it had only been possible to measure the atmospheres of larger, Jupiter-sized exoplanets, but these findings from the Hubble and Spitzer Telescopes bring scientists a significant step closer to studying the atmosphere of Earth-sized planets orbiting other stars. Understanding the atmosphere of exoplanets may tell us more about their evolution and formation – Eliza Kempton, assistant professor of physics at Grinnell College in Iowa, explains in this report from Roland Pease of the BBC’s Science In Action. 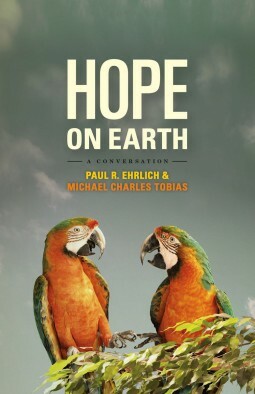 Hope On Earth (starts 7:08): Few people have thought as critically and deeply about the state of Earth and our role on it than Paul Ehrlich. Over the course of several decades, the Stanford University biologist and ecologist has written many books, including 1968’s controversial The Population Bomb, in which he predicted that hundreds of millions of people would starve to death in the 1970s due to overpopulation and limited resources. He has just come out with a new book, which he co-wrote with Michael Charles Tobias, an ecologist, filmmaker, book author and animal rights advocate. The book is called Hope On Earth: A Conversation. And indeed, it is a conversation between Ehrlich and Tobias. In fact, their conversation –many of them — took place here in a research outpost just outside of Crested Butte. Both men join us by phone to discuss the book and the most pressing environmental issues of the day that it explores. As the end of the school year approaches for high school students, it’s a good time to celebrate the achievements and passion of students in Colorado who have excelled in science, technology, math and engineering (STEM). Two of them — Hope Weinstein, a senior at Fairview High in Boulder, and Michael Brady, a senior at Cherry Creek High School in Greenwood Village — were finalists at a renowned global competition last week. 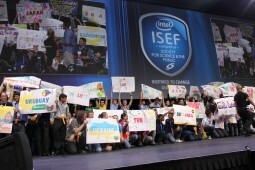 It’s the Intel International Science and Engineering Fair, which is a program of Society for Science & the Public. Hope and Michael talk with co-host Susan Moran about their research and their message to other students. When he’s not busy volunteering with How On Earth, Joel Parker is an astronomer with the Southwest Research Institute — and that’s the hat he has on today as our in-studio guest. 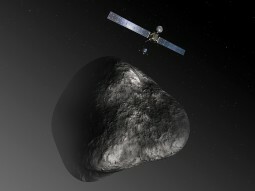 He joins us to talk about the European Space Agency’s Rosetta mission, which will tag along with comet 67P/Churyumov-Gerasimenko as it swings nearer to the sun later this summer. Joel is the Deputy Lead Investigator for ALICE, the ultraviolet spectrometer aboard the spacecraft. 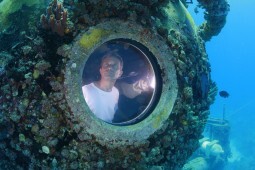 He’s also the featured presenter at Cafe Scientifique tomorrow night. So think of this conversation as a preview of what you might hear if you join him tomorrow at Brooklyn’s down in Denver. Joel will give a very informal talk starting at 6:30 pm, and will try to answer all your tough questions about comets, Rosetta, or anything else. CafeSci is free and open to the public. Earth Day gives us plenty of reason to reflect on the state of the planet and the impact we humans have had on it. This week’s show featured Dr. Linda Mearns, a senior scientist at the National Center for Atmospheric Research in Boulder, who is among hundreds of scientists who produced the latest report on global climate change. She’s a lead author of a chapter on regional climate change in the Fifth Assessment Report (AR5) of the United Nation’s Intergovernmental Panel on Climate Change. 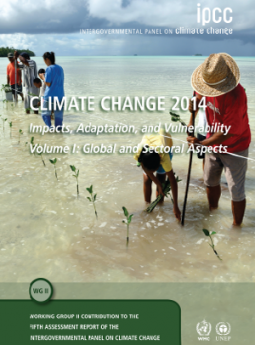 She also co-authored previous IPCC assessments – in 1995, 2001, and 2007. Dr. Mearns talks with How On Earth host Susan Moran about the science and implications of the IPCC report, including what it means for Colorado and the broader U.S. West. Unfortunately, due to a technical glitch at the station, the recording of that live interview was lost. But we still have audio from our second feature. Charles Bolden, the top administrator at NASA, was here in Boulder last week, touring the classrooms and facilities that earn the University of Colorado more space agency dollars than any other public university in the nation. We’ll hear what he has to say about CU’s role in the space program — past, present and future. We’ve also recreated the Earth Day tribute that opened the show. These days it’s more like Earth Week, and it’s not too late to catch some of the planet-happy celebrations going on in the Boulder area this weekend. Listen for details. Colorado Drought Conference (start time 4:35): Experts are meeting at a conference in Denver this week to discuss the implications of prolonged drought conditions here in Colorado. How On Earth’ Susan Moran speaks with biologist Dr. Chad McNutt of the NOAA’s National Integrated Drought Information Center about wthe drought means for the ecosystem, and for Western cities — and how we can start to address the problem. A More Perfect Heaven (start time 11:50): Joel Parker speaks with Dava Sobel, a science journalist and author who tells the stories of the science and the scientists from the past and how they connect to the present. Those stories reveal that the course of scientific progress is far from orderly — it often takes unplanned twists, has failures that require going back and starting over, and can be driven by the quirks of the personalities of individual scientists. 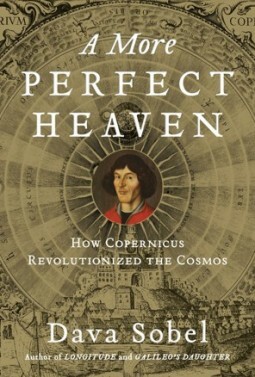 Today we hear about Sobel’s most recent book, A More Perfect Heaven: How Copernicus Revolutionized the Cosmos. This book also contains the play And The Sun Stood Still, which will be presented in a free staged reading by the Boulder Ensemble Theatre Company this Thursday, September 20th at 6:30 at the Dairy Center for the Arts. 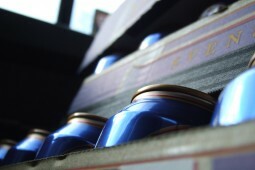 If you’re a beer drinker, you’ve probably noticed that there are a lot of cans on liquor store shelves these days. Here in Colorado, and elsewhere, more and more breweries are choosing to put their beer in cans. There are some good reasons for that, as you’ll hear in this segment. But for the smallest of small breweries, canning can still be a real challenge. It’s expensive, and it takes up a lot of space. Enter Mobile Canning, a Longmont-based company that offers brewers a solution to both of those problems: put the canning line on a truck, and take it to any brewery that needs it. We speak with co-owner Pat Hartman in our Boulder studio. Of course, designing a fully-automated canning line is no small feat – to say nothing of designing one that can be packed into a delivery truck. For that, we turn to Boulder firm Wild Goose Engineering. Chief Technology Officer Alexis Foreman also joins the conversation. 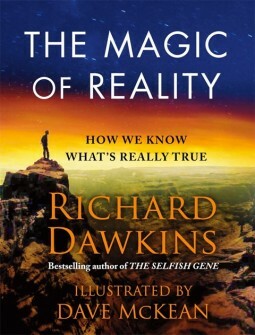 On today’s pledge drive show we played excerpts from an interview with evolutionary biologist and author Richard Dawkins about his new book, The Magic of Reality: How We Know What’s Really True. The book was also featured as a promotional gift for listeners who chose to support KGNU, the independent community radio station that makes shows like How On Earth possible. We now bring you an extended version of that interview. The Magic of Reality is something of a departure for Dawkins. It’s a science book, of course, but aimed at an adolescent readership—though certainly adults will enjoy it too. 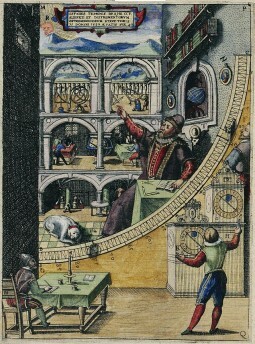 Essentially, the book is about how human beings understand the world, and what we do and do not know. While examining a dozen seemingly simple questions (What is a rainbow? Why are there so many different kinds of animals?) Dawkins explores both human cultural history—how various cultures have used religious stories and mythmaking to explain the world—and the scientific method—how observation and experimentation can show us what’s really happening. His message throughout is that reality has its own poetic magic that rivals or exceeds even the best-spun tales. What’s more, The Magic of Reality is full of gorgeous, full-color illustrations by artist Dave McKean. His imaginative visual style brings Dawkins’ clear, simple prose to life and illuminates the magical power that resides in even the simplest of scientific explanations. October is Wildfire Awareness Month, so on today’s show we look back at the Fourmile Canyon wildfire and hear from local researchers about some of the scientific opportunities that the fire afforded over the last year. Jim Roberts, an atmospheric chemist at the National Oceanic and Atmospheric Administration, tells us about some of the unexpected compounds that have recently been found in the smoke of wildfires. 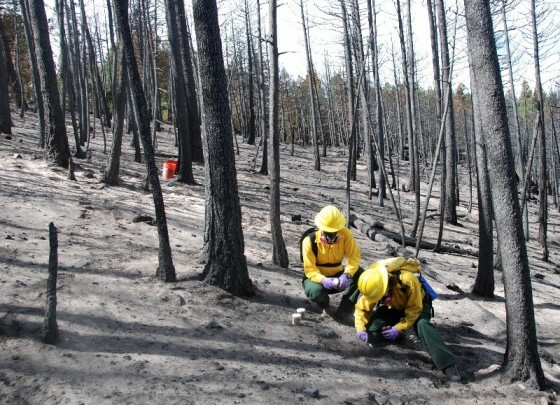 And Deborah Martin, a hydrologist with the U.S. Geological Survey, describes how post-fire runoff from rainstorms affects the forest landscape.